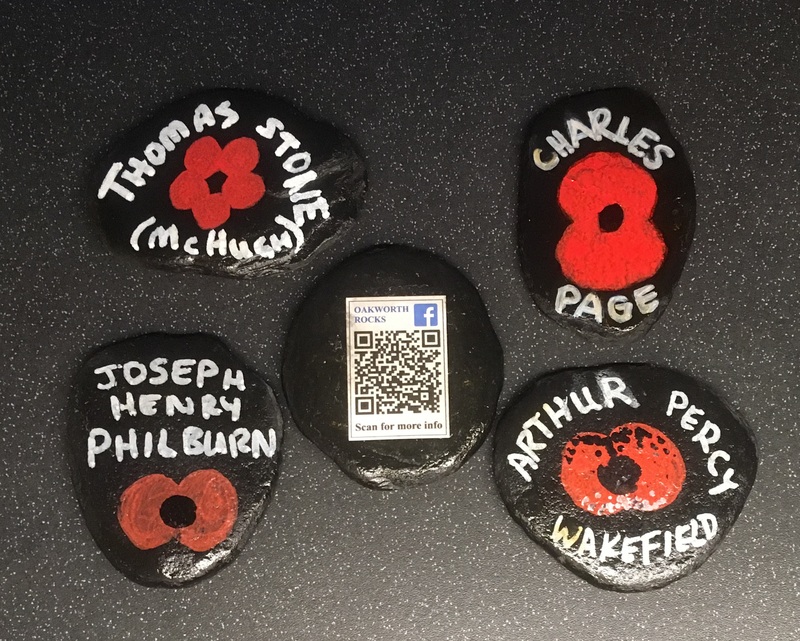 We've seen many groups of people and individuals painting pebbles with a name and a poppy and placing them around villages and towns for people to find. 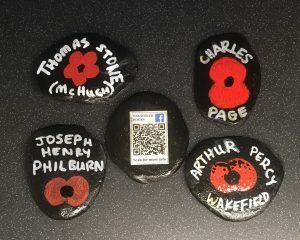 It's a new way to remember our local men but we came up with an extra way to make them more relevant to the person who had found the pebble. 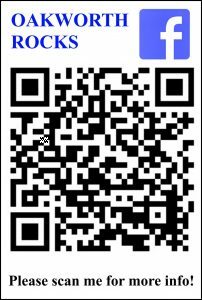 I created a QR Code box to link to a web page on the Oakworth Village Society website. 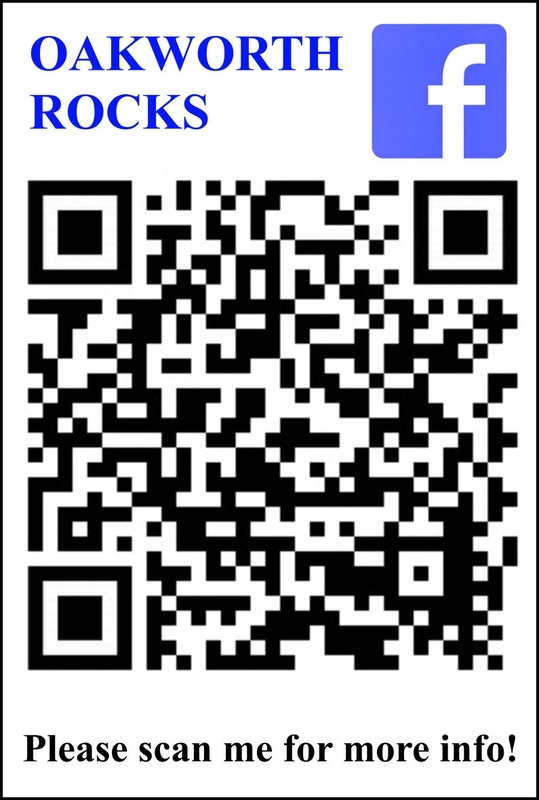 A smart phone or pad with a free QR Code application, could scan the QR code box on the pebble to visit the web page. This page has a list of the names of the forty-four Oakworth men who died in the Great War who are named on their memorial, plus some twenty odd extra names of those men who our research had found to have been from the village. Oakworth's war memorial for the Great War was installed in 1938, so the long time span between this date and the end of the war had resulted in a lot of missing names. Each name on the Oakworth list links to a jpeg image of their biography sheet which can be downloaded to a smart device for saving and sharing.